Another work meeting of Special Committee reviewing cases of individuals dismissed from schools and Higher Educational Institutions for political reasons was held at the Ministry. Minister of Education and Science of Georgia Giorgi Margvelashvili took part in the meeting and got familiar with the results of the working process. Initial discussion of new draft strategy on vocational education was held at the Ministry of Education and Science of Georgia. The meeting was held in the framework of the EU financed project “Quality Enhancement and Capacity Building Support Programme in VET Sector of Georgia”. Staff of the Ministry of Education and Science of Georgia participated in a blood donation day announced by City Station for Blood Donation. The Ministry’s staff expressed their compassion towards those people who are in need of help. Minister of Education and Science of Georgia Giorgi Margvealshvili awarded 119 beneficiaries of the Program “Georgian Language for Future Success". These are the beneficiaries who have successfully finished two semesters. National Curriculum Department of the Ministry of Education and Science of Georgia with the support of the United Nations Children’s Fund (UNICEF), United States Agency for International Development (USAID), and Organization “Save the Children”, has published a guidebook for teachers: “Inclusive Education – Sport for pupils with special needs”. Within the framework of the Project ““School accessibility” 140 public schools throughout Georgia will be provided with schools buses from March 2013. 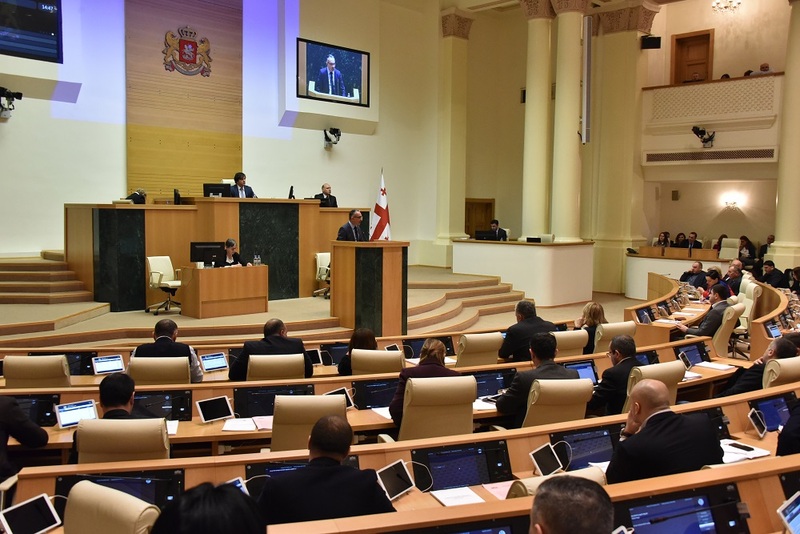 Budget of the Ministry of Education and Science of Georgia of the year 2013 provides for considerable increase of teachers’ salaries by 26%-59%. Today, First Deputy Minister of Education and Science of Georgia Tamar Sanikidze held a meeting with financial managers of all resource centers and gave detailed explanation on the changes in rules of paying salaries. Computer program KCFE will be implemented in Georgian schools with the aim of popularizing chess among teenagers. Today, a well-known chess player and a world champion Garry Kasparov made a presentation of the program and a lesson in Tbilisi Experimental School №1. National Center for Educational Quality Enhancement of the Ministry of Education and Science of Georgia with the support of the German Society for International Cooperation (GIZ -Deutsche GesellschaftfürInternationale Zusammenarbeit), held an opening of national competition of the project WorldSkills Georgia in a conference hall of “Didube Plaza”. Special Commission scrutinizing applications of the persons dismissed on political grounds from public schools and resource centers held a work meeting on February 14, 2013. The Commission held a hearing of applications submitted to the Ministry as a reply to deficiency letters sent to the applicants. Representatives of Georgian Tennis Federation held a presentation on School Tennis Program at the Ministry of Education and Science of Georgia. The presentation was attended by directors and sport teachers of 26 public schools. Selection phase of the internship competition announced by the Ministry of Education and Science of Georgia has ended. Selected applicants are asked to come to the Ministry of Education and Science of Georgia on Monday, February 18, 2013, 10:00 a.m. and have an ID card with them. Members of the Commission scrutinizing cases of the persons dismissed on political grounds from public schools and resource centers, continue regular meetings with the representatives of educational sphere and the mass media. Today, Minister of Education and Science of Georgia Giorgi Margvelashvili and First Deputy Minister Tamar Sanikidze held a meeting with teachers of Tbilisi schools in Teacher’s House. The aim of the meeting was to introduce ongoing reforms and future plans to the teachers. Millennium Account Corporation (MCC) has selected Georgia as eligible to develop a second MCC Compact in December 2011. The goal of the Compact will be to reduce poverty through economic growth by improving the quality of human capital in Georgia. 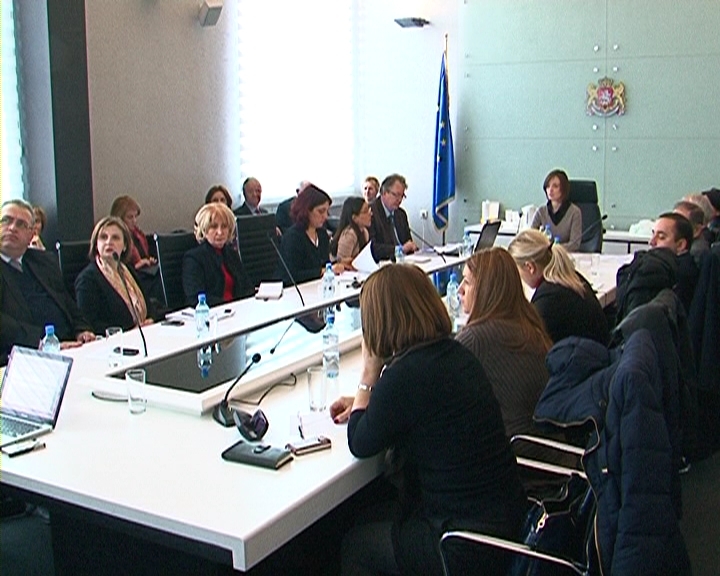 Meeting of the representative of educational sphere and members of the Commission reviewing the cases of persons who were unfairly dismissed on political grounds is due on February 12th, 2013 at 12:00. Special Commission scrutinizing applications of the persons dismissed on political grounds from public schools and resource centers is giving clarification for the public, as the burden of proof is directed towards the author in order to present and prove facts. 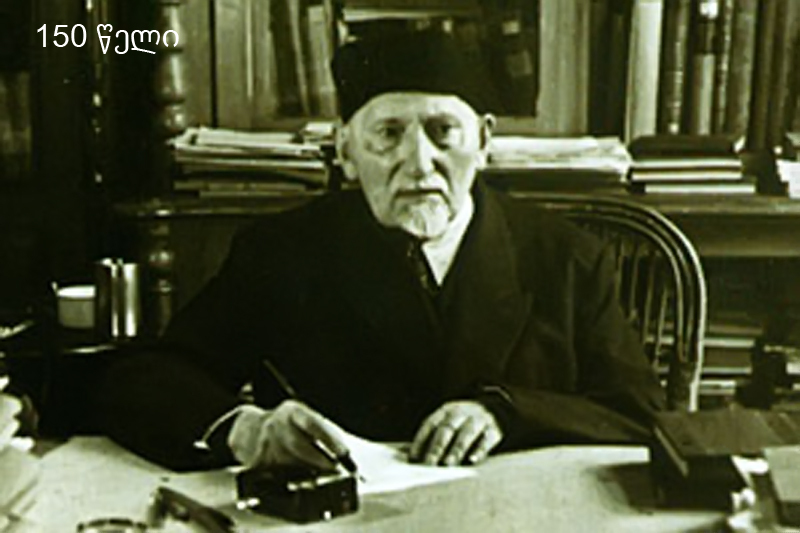 First Deputy Minister of Education and Science of Georgia Tamar Sanikidze held a work meeting with majoritarian MPs of Georgian Parliament. First Deputy Minister of Education and Science of Georgia Tamar Sanikidze visited a public school in village Bogvi, Tetritskaro municipality. Tamar Sanikidze met 120 pupils who are served with a new bus to reach the school. Within the framework of the Project “Democracy starts with you!”, South Caucasus Youth Parliament convened a session in Tsaghkadzor, Armenia. The event was attended by Deputy Minister of Education and Science of Georgia Aluda Goglichidze and Minister of Education and Science of Armenia Armen Ashotyan. 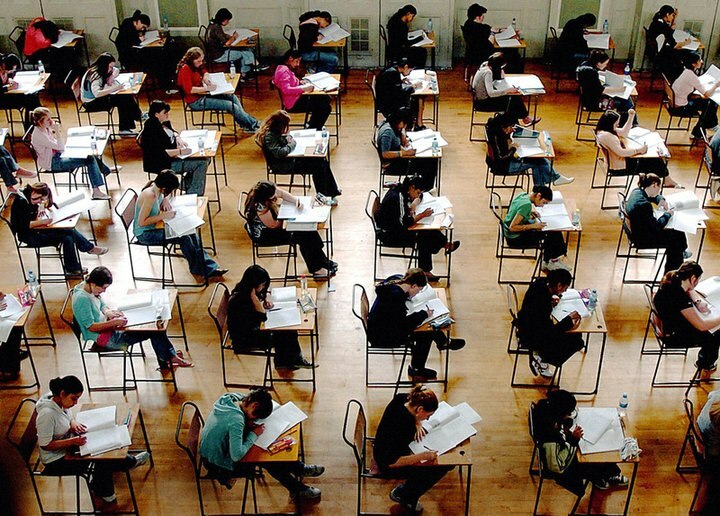 School-leaving exams 2012-2013 will be conducted in two stages according to model 4+4 in general education schools of Georgia. 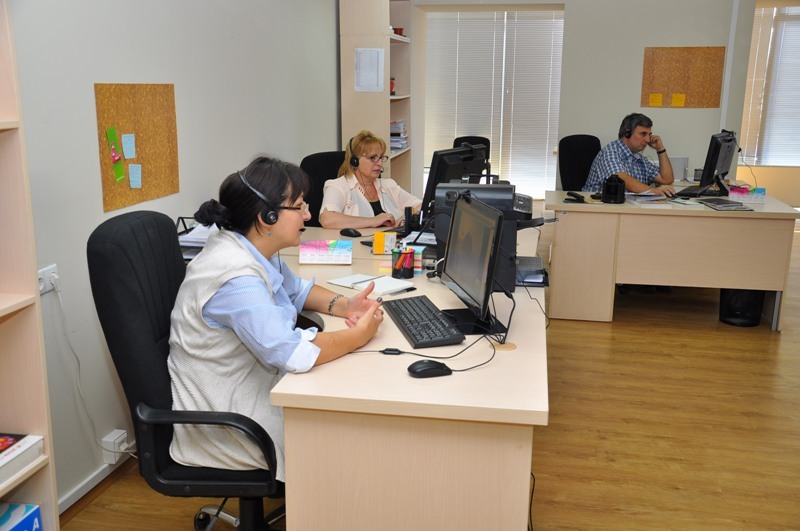 Lia Gigauri, Head of the Department for General Education Management and Development has introduced the new model to heads of Resource Centers of Imereti, Racha-Lechkhumi and Kvemo Svaneti. The Ministry of Education and Science of Georgia with the support of US Agency for International Development (USAID) is carrying out primary education project (G-PriEd) “Teachers’ Professional Development Program for Georgian and Math teachers of primary schools (I-VI grades). With the initiative of the Ministry of Agriculture of Georgia and with the support of the Ministry of Education and Science of Georgia and UNDP, up to 900 tractor operators will be retrained during the period of 35 days at state vocational colleges of Kachreti, Akhaltsikhe, Ambrolauri, Kobuleti, Ozurgeti, Senaki, Gori and Didi Jikhaishi. Minister of Education and Science of Georgia Giorgi Margvelashvili paid an official visit to the Great Britain with the aim of participating in Education World Forum (EWF). The abovementioned Forum was attended by Education Ministers from almost every country of the world. Work meetings at the Ministry of Education and Science of Georgia continue. Today, Deputy Minister Aluda Goglichidze and other representatives of the Ministry held a meeting with heads of Math and IT departments of public schools. Head of State Commission on Education and Science Reforms, Giorgi Dvali and members of the State Commission held a meeting with Deputy Minister of Education and Science of Georgia Aluda Goglichidze. The second phase of the internship competition announced by The Ministry of Education and Science of Georgia has ended. The Commission determined minimum 65 points necessary for the applicants to move on to the next stage. 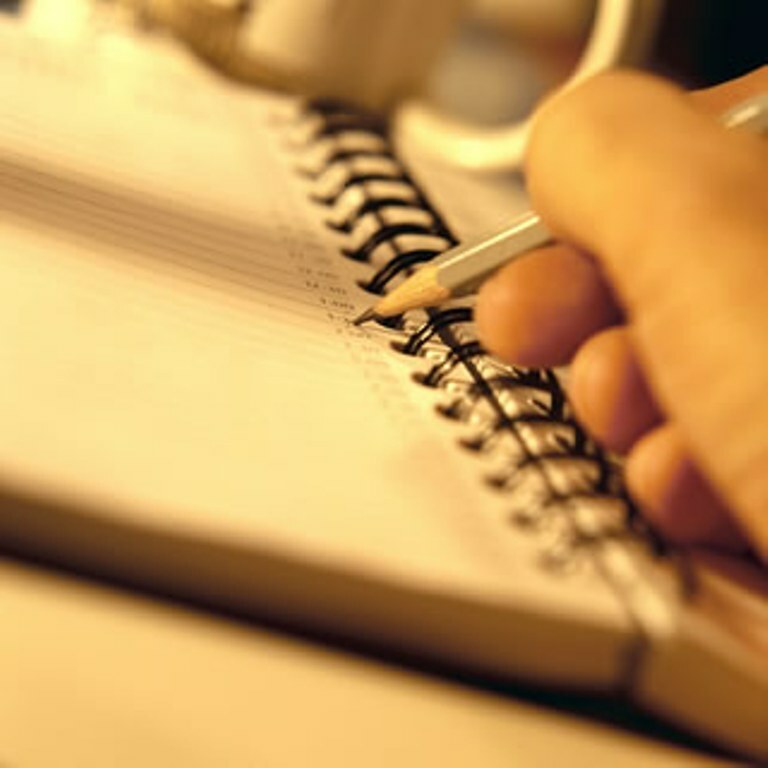 830 notices were submitted to the Ministry of Education and Science of Georgia and relevant Resource centers till the deadline - January 14, 2013 for Special Commission set up at the Ministry of Education and Science of Georgia which scrutinizes written notices of the persons of public schools and resource centers who were dismissed on political grounds. School-leaving exams 2012-2013 will be conducted in two stages according to model 4+4 in general education schools of Georgia. The first stage starts on February 15 and ends on March 1, 2013 and the period for the second stage is from May 20 to May 29, 2013. The Ministry of Education and Science of Georgia is starting the process of implementation of inclusive education in vocational education with the support of the Ministry of Education and Research of Norway. Today, a work meeting was held at the Ministry of Education and Science of Georgia with heads of the school department of Georgian Language and Literature. Deputy Minister of Education and Science of Georgia Aluda Goglichidze and other representatives of the Ministry had a meeting with the representatives of school departments of Tbilisi public schools. Georgian team won first place in Mathematics, Physics and Informatics in the 9th International Zhautikov Olympiad held in Alma-Ata, Kazakhstan. Seniors from Physics and Math Komarov Public School 199 of Tbilisi, Ilia Vekua Public School 42 of Tbilisi, Physics and Math Andria Razmadze Public School of Kutaisi and Private Demirel College of Tbilisi participated in the Olympiad. Today, Nada Marasovic, Deputy Representative, UNICEF and Philippe Testot-Ferry, UNICEF Education Advisor held a meeting with Deputy Minister of Education and Science of Georgia Aluda Goglichidze and other representatives from the Ministry. The Ministry of Education and Science of Georgia has launched a new project “School Accessibility”. The aim of the program is to provide schools with buses for those pupils who have to walk long distances to reach schools. Within the framework of the Government of Georgia - UNICEF Programme of Cooperation for the period 2011 - 2015, from 22 – 23 January 2013 UNICEF in close partnership with the Ministry of Education and Science of Georgia is organizing a workshop on a ten determinant analysis in general education. Today, Deputy Minister of Education and Science of Georgia Aluda Goglichidze together with MP Davit Lortkipanidze visited a public school in the vlg. Makelefoni, Vani Municipality. Deputy Minister of Education and Science of Georgia Aluda Goglichidze held the first work meeting in Vani Municipality. Deputy Minister had a meeting with public school principals, teachers, representatives from educational resource centers and parents. The first phase of the internship contest announced by The Ministry of Education and Science of Georgia has ended. The second phase – testing will be held at Teacher’s House (address: 1, Gmir Kursantta Str.). The Ministry of Education and Science of Georgia is announcing a contest for the position of Head of Resource Center. 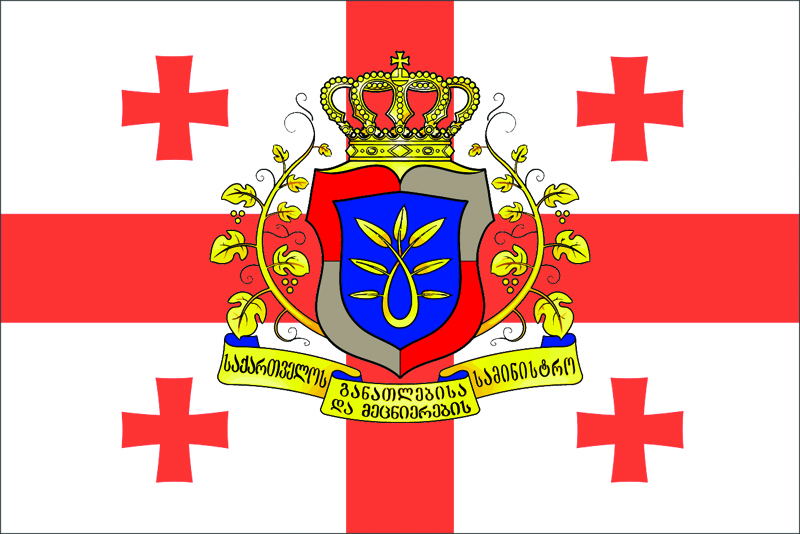 The contest is announced in several regions of Georgia. For detailed information please see the attached file in Georgian language containing job description for the position. Deputy Minister of Education and Science of Georgia Aluda Goglichidze together with head of civil group of the Department of National Curriculum Tea Karchava held a meeting with the representatives of EUROCLIO (European Association of History Educators) and heads of Association of Georgian History Educators – a member organization of EUROCLIO. Deputy Minister of Education and Science of Georgia Aluda Goglichidze and other representatives of the Ministry continue work meetings. For the first time a meeting was held with heads of primary grade departments of public schools. Meeting of working group was held at the Ministry of Education and Science of Georgia in the framework of “EU technical support program “Quality Enhancement and Capacity Building in VET sector”. Members of the Commission which studies the cases of the staff members of public schools and resource centers who were unfairly dismissed on political grounds, held a meeting with the representatives working in educational sphere and mass media. Special commission at the Ministry of Education and Science of Georgia investigating cases of staff members of public schools and resource centers dismissed on political grounds. The Ministry would like to inform the public that deadline for submission of written notices is January 14, 2013. Submission will not be possible from January 15, 2013.
Financing allocated for student grants for the year 2013 has increased. The abovementioned change has made it possible for the students to take full BA courses (4 years) in 14 specialities at state higher education institutions. Deputy Minister Davit Zurabishvili held a briefing on the topic. Gia Dvali, Head of State Commission on Education and Science Reforms and members of the Commission held a working meeting at National Center for Educational Quality Management. Deputy Minister of Education and Science of Georgia Ketevan Natriashvili awarded students of EMIS (Education Management Information System) vocational education institution with certificates and prizes. Essay competition in the subject “World Culture” has ended. Head of Department of National Curriculum Natia Jokhadze awarded the winners with diplomas and prizes. Today, Deputy Minister of Education and Science of Georgia Aluda Goglichidze held a meeting with school principals of Tbilisi public schools. Main topic of the meeting was to familiarize with current situation in the public schools and discuss the novelties already implemented in general education and the activities planned for future. Deputy Minister Aluda Goglichidze, head of Commission investigating cases of staff members of public schools and resource centers who were dismissed on political grounds, made a report for the society. The role of libraries in school life is increasing. For the first time today, Deputy Minister Aluda Goglichidze held a meeting with up to 200 librarians of public schools and discussed vision of the Ministry on new activities of school libraries. Minister of Education and Science of Georgia Giorgi Margvelashvili has summarized past three months of work of the Ministry. He made a detailed report for the journalists and talked about the innovations planned for 2013. The Ministry of Education and Science of Georgia is carrying out two important projects with the support of the Ministry of Education and Research of Norway and “Save the Children”. These projects are: Education Reform for the Deaf and Strengthening of University Component”. 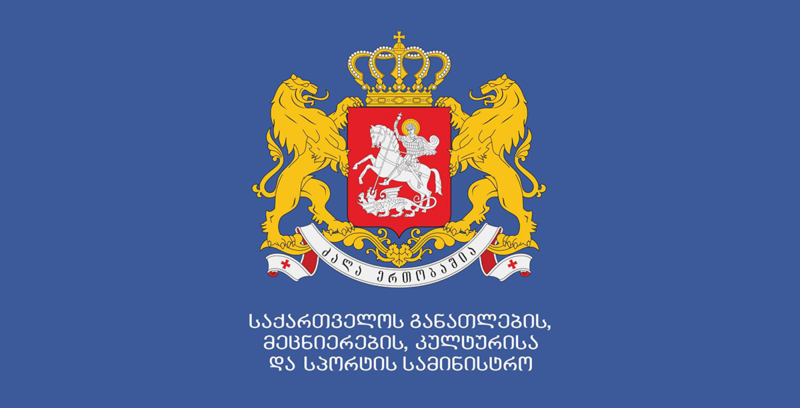 Disputes of those persons who were unfairly dismissed on political grounds are under consideration at the Ministry of Education and Science of Georgia. Another meeting of the commission was held in the Ministry today. Minister of Education and Science of Georgia Giorgi Margvelashvili and Head of Office of Resource Officers of Educational Institutions Levan Abashidze awarded school students – winners of sketch competition. Deputy Minister Aluda Goglichidze and other representatives from the Ministry of Education and Science of Georgia held a meeting with heads of teachers’ councils of Tbilisi Schools. The Ministry of Education and Science of Georgia with the financial and methodological support of the Ministry of Education and Research of Norway is starting the process of implementation of inclusive education in the system of vocational education. Deputy Minister of Education and Science of Georgia Tamar Sanikidze held a briefing regarding the issues of the budget for the year 2012 and changes to the project of the budget for 2013. Deputy Minister of Education and Science of Georgia Ketevan Natriashvili together with director of Teachers’ Professional Development Center opened a conference for teachers of VET institutions. Deputy Minister of Education and Science of Georgia Aluda Goglichidze awarded winner students of International Olympiads Jemal Shengelia, Giorgi Kobakhidze, Sergi Chalauri, Saba Kharabadze, Giorgi Gonashvili, Jimsher Skhirtladze and Nikoloz Svanidze with money prizes. Discussion on a renewed concept of Teachers’ Professional Development Center was held at Teacher’s House. Director of the Center and consultants introduced planned projects and activities to the teachers and listened to their ideas. 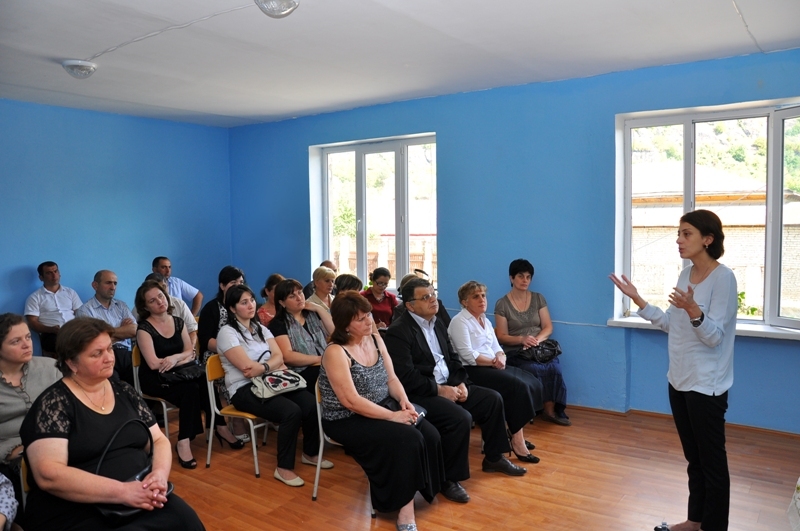 Deputy Minister of Education and Science of Georgia Aluda Goglichidze together with other representatives from the Ministry introduced innovations planned in the system to member parents of School boards and parent committees of Tbilisi schools. Today, Minister of Education and Science of Georgia Giorgi Margvelashvili met about 40 professors from the initiative group of persons unfairly dismissed for political reasons. Ministry of Education and Science of Georgia and UNICEF are jointly implementing a project on “Providing accessibility, quality and equality of education in Georgian educational system”. One of the main components of parent engagement in the process of education is to develop a strategy. Deputy Minister of Education and Science of Georgia Mr. Aluda Goglichidze and other representatives from the Ministry held a meeting with the exchange program group of “Project Harmony” (PH International) from Macedonia. A coordinating meeting was held regarding the issues of funding vocational education. Representatives of state and private colleges, professional unions, employment associations, the ministry and international organizations attended the meeting. Educational specialists working in non-governmental sector were involved in the process of textbooks’ approval. 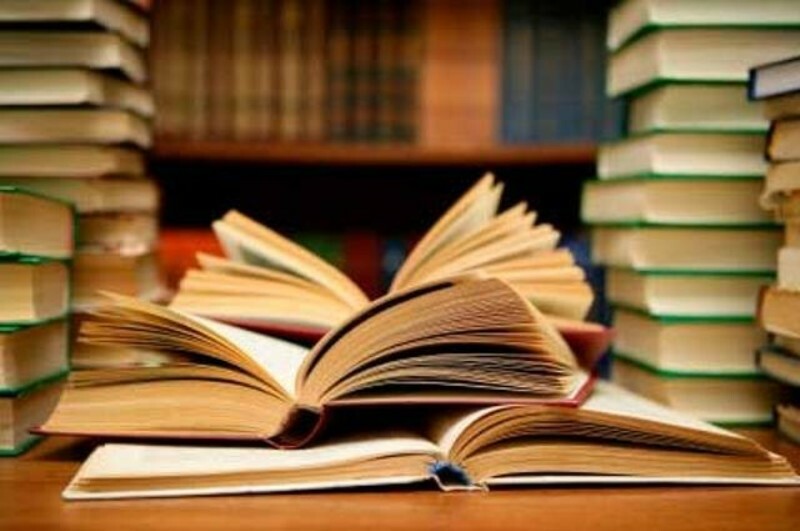 According to the decision of the Ministry of Education and Science of Georgia, in a commission on textbooks’ approval non-governmental sector will be represented with a considerable proportion along with the representatives of the Ministry. A meeting held in the Ministry of Education and Science of Georgia today, December 14, was dedicated to the issues of determining educational policy course, informational decision-making, exchanging statistical data among structural units of the Ministry and studying labor market demands. The European Union (EU) and the Ministry of Education and Science of Georgia presented a joint project in the hotel “Vere Palace” on the topic – “program for quality enhancement and reinforcement of opportunities in the sector of vocational education in Georgia”. Ministry of Education and Science of Georgia with the support of Agency for International development (USAID) is implementing Georgia Primary Education Project (G-Pried) “Teacher Professional Development Project for Georgian Language and Math teachers (1-6 grades). A Conference on “WorldSkills Georgia for Quality Vocational Education” was held today in “Courtyard Marriot”. The conference aims at developing and improving quality of vocational education in Georgia as well as bringing it closer to international standards. The Ministry of Education and Science of Georgia will start reorganization of Educational Resource Centers. 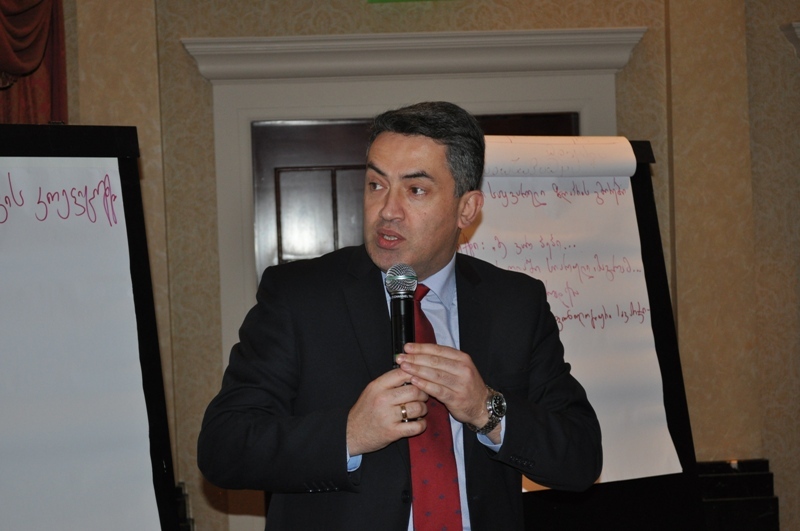 Deputy Minister Mr. Aluda Goglichidze held a briefing on this issue. A conference “Involvement of Private Sector in Georgian Vocational Education System” was held today in vocational college “Spektri”. 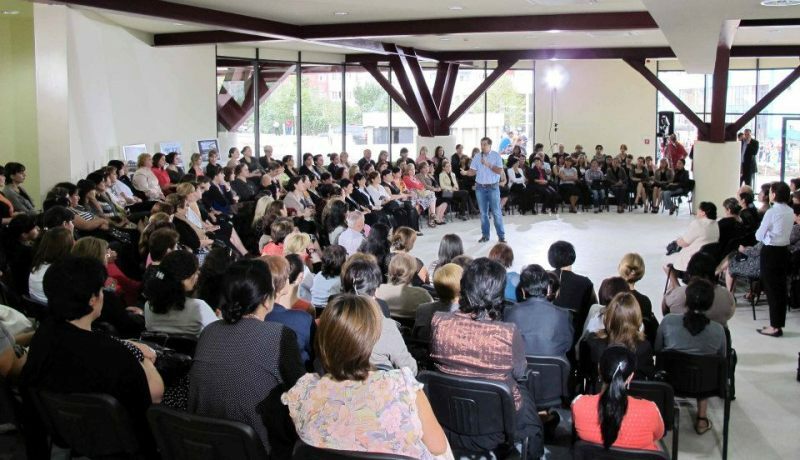 The conference was organized within the framework of German Society for International Cooperation (GIZ PSDP Georgia). The minister of education and science Giorgi margvelashvili introduced another initiative regarding exclusion of 10-12- grade students from public schools. Minister of Education and Science of Georgia Giorgi Margvelashvili called pupils of public schools of Georgia to be involved in the competition organized by Office of Resource Officers. Pupils have to paint favorable previews of a new uniform. Mineister of Education and Science of Georgia made a report for the public on one-week activities conducted at the Ministry.